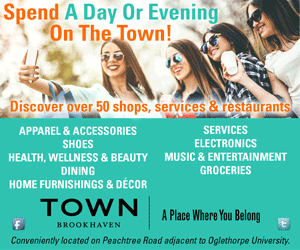 Valentine’s Day is around the corner, but before you pick up a heart-shaped box of chocolates, you might want to consider shopping locally owned Xocolatl instead. Sure, it’s crafted with sustainably sourced cacao and uses only whole ingredients (no extracts, no oils), but it’s also the product of love shared between its founders, Elaine Read and Matt Weyandt. The two met in 2004 while working in different states for the same presidential campaign, and sparks flew at a training session. When the campaign finished, they knew it was time to tie the knot. Baby carriages followed, but rather than plant roots, they packed up their toddler and infant and flew south to Costa Rica. The jungle was hot and sticky, but it gave them the chance to live as an undistracted and unplugged family. It’s also where they became smitten with chocolate, which they bought from local makers who created it straight from the cacao bean. 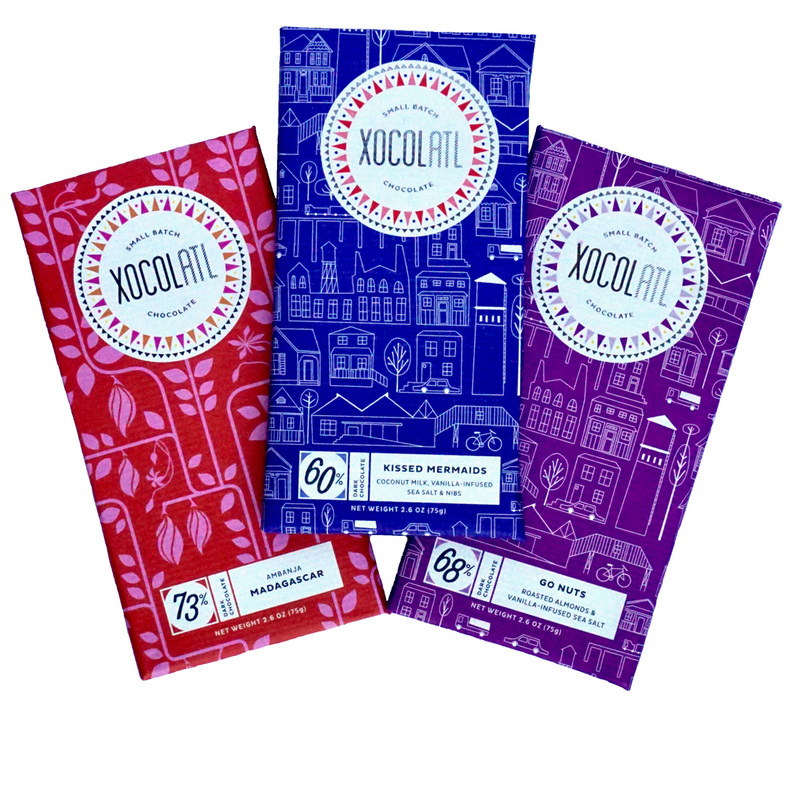 This Valentine’s Day, skip the heart-shaped box and unwrap a bar of Xocolatl chocolate. 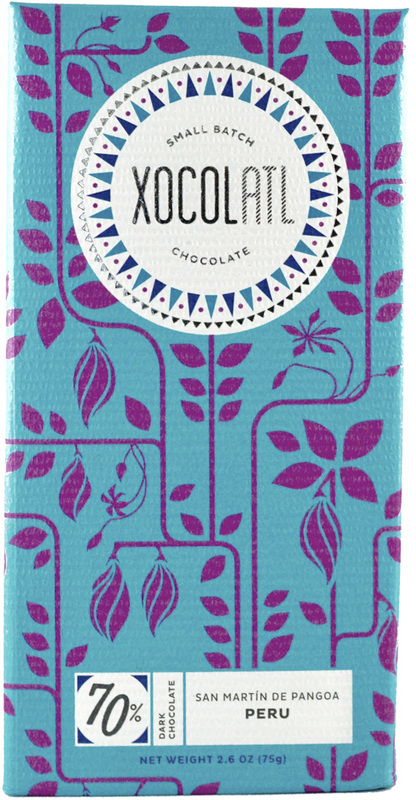 “That was the first time we’d ever had non-industrially made chocolate. We were immediately hooked and wanted to learn more about chocolate making and also more about cacao as a tree and a fruit,” says Read. They were also interested in “the ways that chocolate can be made with an emphasis on the social and environmental impacts.” Almost a year into living in Costa Rica, they knew they wanted to move back to Atlanta to start a chocolate business and that the then forthcoming Krog Street Market would be the best place to set up shop. For the couple, working together hasn’t always been easy; it took time to get into a rhythm and figure out how to best divide their tasks. Of why they work so well together, Read says, “I think we each respect the qualities the other brings to the table. Matt loves working through all the possibilities for the company, and once we agree on what those are, I love to work out the tactics that will get us there.” Another perk of working together: travel opportunities for research and development. Once or twice a year, they head out to places such as Nicaragua or the remote jungles of Peru to meet the farmers they work with. “The trips are a great way to remember what about our work and about our relationship is most important,” says Read. Wondering which wine or beer tastes best with that piece of Xocolatl? Stephen James, wine buyer for Hop City at Krog Street Market, offers a few suggestions. Intrigued? You can grab what he suggests as Hop City.